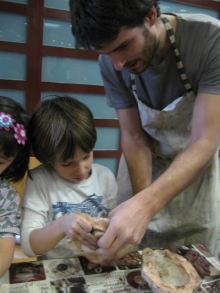 Activity carried out with children of #LaCabrera, #Madrid during my #exposiciónDescubrimientos. Using my sculpture molds the children made their own creative works. We had a great time and learned all so much !! !